Welcome to CoolberryCafé heaven. It's where a combination of high quality, soft frozen yogurt comes together with a super delicious variety of toppings to create the most sumptious tasting snack. Ever! 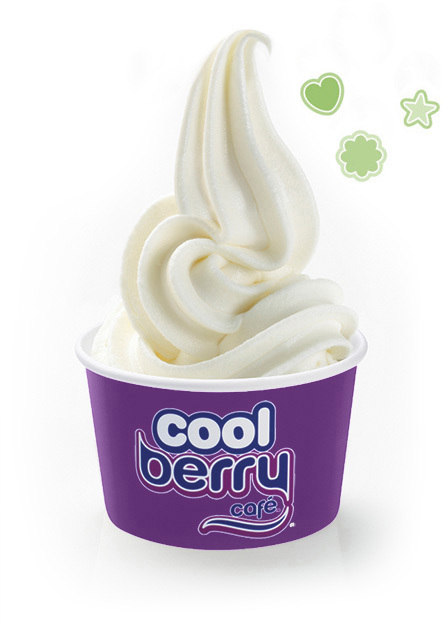 ﻿Experience the CoolberryCafé "feels good!" factor. That's when our delicious, guilt-free frozen treat tempts you to enjoy it. Time and time again. So low in calories and low in fat, it's the newest taste sensation that you'll really fall in love with.